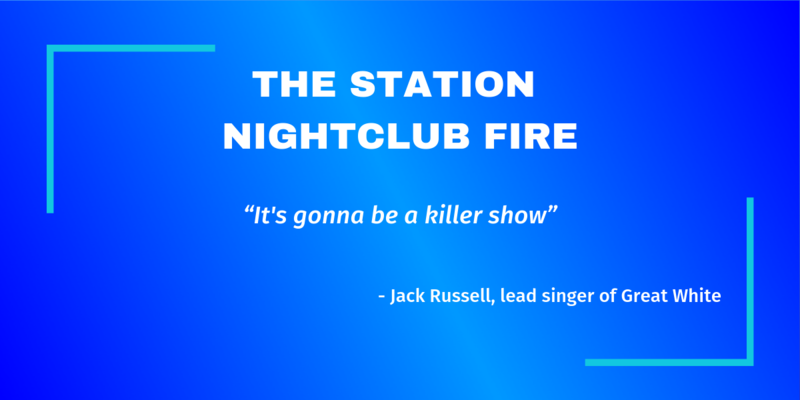 In this episode, I’m looking at the fourth-deadliest nightclub fire in American history, The Station Nightclub Fire. It’s a well-known incident – in fact, several people asked if I was going to include it in the podcast. One thing that makes it so notorious is the fact that we’ve got video footage of it actually happening. There was a videographer in the club that night; he was rolling when the fire began and he kept filming as he evacuated. I’ll link the footage in the sources below, but please be warned, it is graphic and quite disturbing. During the episode, I mentioned some of the people at the club that night. Not all of them made it out. Of the three security men, Tracy King, who had earlier been escorting the videographer did not survive. John Arpin and Scott Vieira did; one of them is thought to be the bouncer who turned people away at the stage exit, although not all who testified to this were able to make an identification. Andrea Mancini and her husband Steve were taking tickets and checking ID near the front door. Despite being so close to an exit, neither escaped. Dina DeMaio, the waitress, and the DJ Mike “Doctor Metal” Gonsalves also both perished in the fire. Bartenders Jennifer Choquette and Julie Mellini both escaped, as did Julie’s friend Linda Fisher. Patrolman Anthony Bettencourt was pushed out of the door with the first surge of people; he then helped to pull others to safety. I’d like to say a special thank you to Patreon supporter Mish Liddle, and to all of you for listening and reading. Supporting the Great Disasters podcast on Patreon can give you access to exclusive content, including at least one mini-episode per month, and helps the show keep going. The first mini-episode was on the Cavan Orphanage Fire, and the latest is about the Byford Dolphin Incident. Public files from the Attorney General investigation – these have been made available on Google Drive. Most of the witness statements are in the 3rd Phase folder. Wikipedia article on the fire.